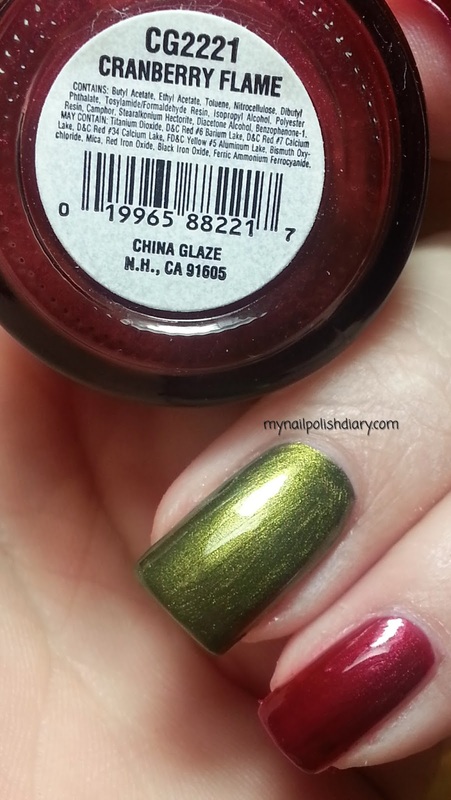 China Glaze Cranberry Flame is from the 2005 Urban Chic collection and China Glaze Peace On Earth was released in 2010 in the 'Tis The Season To Be Naughty And Nice collection. China Glaze Cranberry Flame is one I've had for ages! It's great for the holiday season though. I seem to always wear it at least once during Thanksgiving to Christmas time. It's exactly as you'd expect from the name. Deep shimmery red with a nice shine to it. It has a nice formula, covers well and wears several days for me without chips. I find this to be the norm for me with China Glaze. I usually wear polish 3 days and end up taking it off before I have chips. 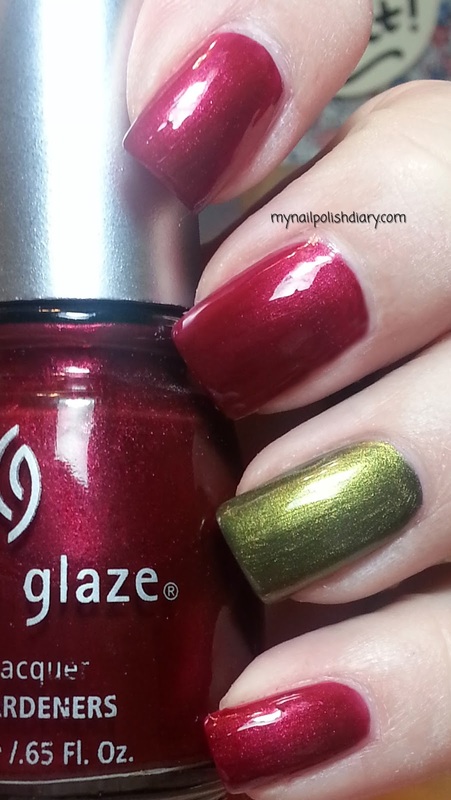 China Glaze Peace On Earth is also an older polish and from a holiday collection. I don't wear this one a lot but it's good for Christmas and St. Patrick's day. It's a pretty olive green with golden shimmer. So pretty!